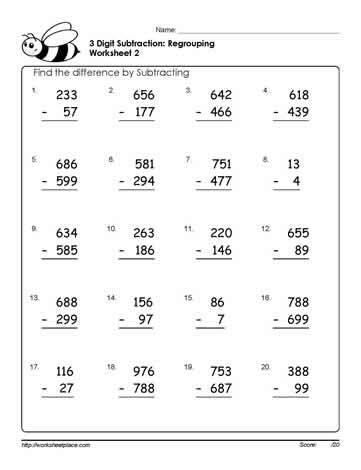 3 digit subtraction worksheets with regrouping. (borrowing) 2nd grade math worksheets. Grade 3 math worksheets for subtraction.